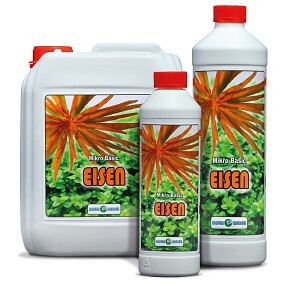 We have presented the four modules of plant fertilization in our preceding article, and now it is time to create the ideal conditions for your own, specific aquatic plants in your aquarium set-up. Basically, there is no good or bad when it comes to the technical equipment (lighting, CO 2 system). (Overly) intense lighting does not always make sense, and on the other hand, beautiful planted aquaria can be created even with simple technical means. The most vital factor is the balance of the light intensity to the requirements of the plants. This balance creates the foundation upon which the other building blocks (micro- and macronutrients, carbon) can be built. Green category - easy, undemanding plants. This includes most of the so-called shade-loving plants, such as ferns, mosses, Anubias, Bucephalandra, Cryptocoryne and some Echinodorus. Yellow category - Aquatic plants with moderate demands. This includes some stem plants such as Hygrophila or Alternanthera, but also ground covers such as Lilaeopsis and Marsilea. Red category - difficult plants with high demands. This includes fast-growing ground covers like Glossostigma elatinoides and most of the red stem plants like certain Rotala, Hemianthus and Pogostemon. These plants need a lot of light to reach their full color potential. How do I categorize my aquarium and the plants inside? Get to know your aquatic plants! First try to find out which plant species you have, if possible, also their scientific names. You can easily find out how plant nurseries categorize the aquatic plants (red, yellow, green) on the their respective websites or in our shop. If possible, make an inventory of your aquarium plants and count how many plants you have per category. The category with the highest number of aquatic plants from your aquarium roughly reflects the total requirements of the plants in your tankm . This is how your aquarium is categorized. The next step is choosing an appropriate lighting system. For standard illumination, the light intensity is expressed as a ratio of watts to liters. For LEDs, the reference value is the ratio of lumens to liters. In the following you will find a rough overview for each category of plant requirements. It is important, as mentioned above, that the light intensity meets the needs of the aquarium plants. Otherwise the system will be unstable and more susceptible to algae growth. Green category - weak light with approx. 0.2 to 0.3 watts/liter or 15 to 25 lumens/liter, for LEDs. Yellow category - medium light with approx. 0.4 to 0.6 watts/liter or 30 to 45 lumens/liter for LEDs. Red category - intense light starting at approx. 0.7 watts/liter or 50 lumens/liter for LEDs. With our light calculator you can easily check into which category your aquarium belongs. In order to supply the aquarium plants all around, you also need carbon in the form of carbon dioxide (CO 2) as well as micro- and macro-nutritive elements. Carbon dioxide is supplied via a CO 2 system. 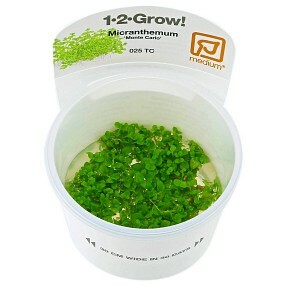 This is an absolute must when keeping plants from the yellow category onwards. Although most aquatic plants in the green category can do without carbon fertilization, they grow significantly better when they are supplied with additional CO 2 . 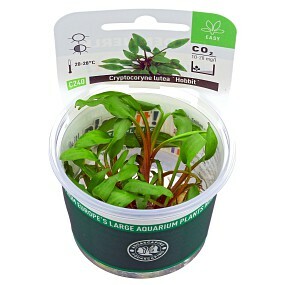 Therefore we recommend the use of a CO2 system even when keeping easy plants, to help them grow healthily. The CO2 concentration needs to be monitored with a drop checker filled with test liquid. 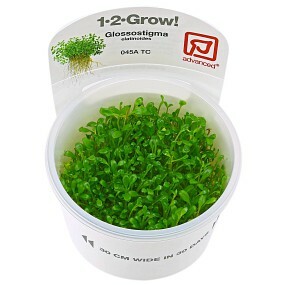 Green category - the CO2 should be around 20 mg/l. In most tanks, a weekly dose of micro- and macronutrients with e. g. Aqua Rebell Makro Basic NPK and Mikro Basic complete iron fertilizer should suffice. Yellow category - the CO2 should be around 20 to 30 mg/l. Liquid fertilizer should be added between 2 to 3 times per week to daily. Apart from the fertilizers Aqua Rebell Makro Basic NPK and Mikro Basic Eisen, we recommend an additional nitrogen-only fertilizer like Aqua Rebell Makro Spezial N.
Red category - a CO2 value of 30 mg/l. The daily addition of liquid fertilizers is recommable here, e. g. Aqua Rebell Mikro Spezial Flowgrow. Macronutrients should rather be added by single-component ferts like (Aqua Rebell Makro Spezial N (nitrogen), Aqua Rebell Makro Basic Kalium (potassium) and Aqua Rebell Makro Basic Phosphat (phosphate)). In this way, you’ll be more flexible in the adjustment of nutrient values. Now that this is cleared up, you can use this handy calculator tool to find out the fertilizing recommendation for your personal aquarium or aquascape. This calculated fertilizer recommendation serves only as a first clue, though. As an aquarium evolves, the fertilizer dosage should be adjusted regularly. With the help of specific water tests you can monitor your water parameters super easily. The state of health of the aquarium plants is also a good sign for determining whether or not nutrients are lacking. Here’s a well-described overview of the various deficiency symptoms in aquarium plants. We recommend a weekly water change of 50% to avoid unwanted accumulation of individual substances.